US condemns Russia's role in Syria, amid conflict Washington and its allies started in the first place. The U.S. sharpened its criticism of Russian airstrikes in Syria on Tuesday, charging that "indiscriminate attacks" had reportedly caused hundreds of civilian casualties and the displacement of over 100,000 residents. "We've seen a marked and troubling increase in reports of these civilian casualties since Russia commenced its air campaign," a spokesman for the U.S. State Department said. Careful readers will notice however, that it is not actually civilian casualties that are on the rise, but rather merely "reports of" them that are increasing. By examining the nature of both the reports, and those who are making them, it is revealed that this latest media campaign pursued by the West is entirely disingenuous, and puts into jeopardy real oversight and genuine human right advocacy. Various human rights groups, including Amnesty International, have accused the Russian military of killing civilians in its airstrikes. And it would be Amnesty International's report that CNN links to in reference to the US State Department's comments. The Amnesty International report titled, "Syria: 'Civilian Objects Were Not Damaged': Russia's Statements on its Attacks in Syria Unmasked," even in title alone appears politically motivated in nature. However, it is under the report's section, "Methodology," that reveals the true deception at play. Amnesty International researched remotely more than 25 Russian attacks in Syria between September and December 2015. It interviewed by phone or over the internet 16 witnesses to attacks and their aftermath and spoke to more than a dozen Syrian human rights defenders and representatives of medical organizations supporting work in the areas of the attacks. It obtained and reviewed audiovisual imagery relating to all of these attacks or their aftermath, and commissioned advice from weapons experts on munitions visible in them. It reviewed statements published by the Russian Ministry of Defence and relevant articles in Russian and other media. It also reviewed reports of Syrian and international human rights organizations, humanitarian organizations, UN agencies, military and weapons analysts and open-source research networks. In other words, the entire report is based on hearsay from the very people fighting against the Syrian government, and/or in league with the very armed, terrorist organizations Russia, the Syrian military, and allegedly even the United States and its allies are supposedly fighting in Syria and across the region. 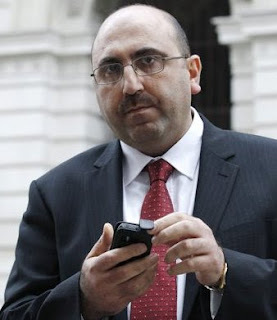 The report also admits that it is in contact with the discredited Rami Abdulrahman, a UK-based anti-Syrian "activist" who regularly coordinates with the UK Foreign and Commonwealth Office in London. Amnesty International disingenuously refers to this one-man operation as the "Syrian Observatory for Human Rights." ...despite its central role in the savage civil war, the grandly named Syrian Observatory for Human Rights is virtually a one-man band. Its founder, Rami Abdul Rahman, 42, who fled Syria 13 years ago, operates out of a semidetached red-brick house on an ordinary residential street in this drab industrial city [Coventry, England]. Considering various conflicts of interests, including open bias against the Syrian government and funding coming from governments bent on overthrowing that government, how Amnesty International finds Abdulrahman's information credible is a mystery. How Amnesty International finds his information convenient, on the other hand, is no mystery at all. Physicians for Human Rights is also referenced by Amnesty International. It has been behind previous and equally dubious accusations leveled against Russia in Syria, and is a US State Department-funded, US-based front - making the US State Department's recent statements not only baseless, but disingenuously self-referencing. The equally discredited Eliot Higgins, a sofa-bound unemployed British man who now openly works as a "contractor" for Western defense companies and is clearly engaged in biased propaganda, not objective analysis, was also referenced in Amnesty International's report. Under methodology, Amnesty International claims it "reviewed" what it called "open-source research networks." This is a euphemism for people like Higgins who sit at home and watch YouTube videos, and draw conclusions most suitable to sustain the West's narrative. 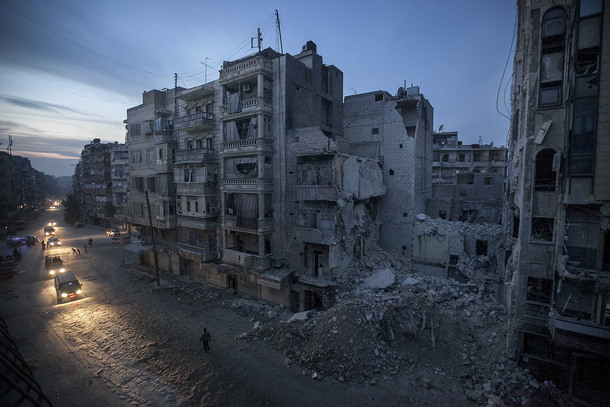 Image: None of the people in Amnesty International's report on Syria are actually in Syria. 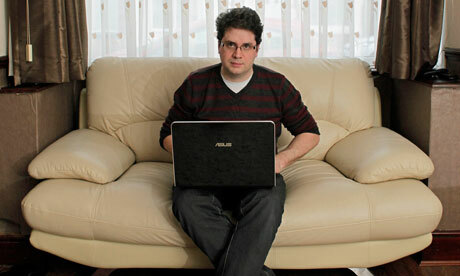 Elliot Higgins spends most of his time on a sofa in the United Kingdom. Those Amnesty International claims are in Syria, have had their identities withheld, making it impossible to even verify their existence, let alone confirm any of the hearsay they allegedly passed on to Amnesty International during "Internet calls." Other "sources" Amnesty International cites in the footnotes of its report include "eyewitnesses" who "wished to remain anonymous." We can imagine a court hearing in which a police department is trying to give its side of the story, and all of its witnesses are either police or "anonymous witnesses" who sound a lot like the police. The hearing would be thrown out as a farce, and those involved in making it a farce, would likely be charged with contempt of court. Likewise, Amnesty International and the political interests using its deceitful work, are in contempt of human rights advocacy. They are undermining justice, accountability, and the dignity of such work by exploiting it for political gain. What's worse still, is even as the US State Department gets up to the podium to condemn Russia's military operations based on the words of networks the US State Department itself helped create to intentionally tell only one side of the human rights situation on any given battlefield, the US itself is guilty of all it has accused Russia of, and more. And not only in Syria, but in Afghanistan, Libya, Iraq, and far beyond. It should also be remembered that it was the United States and its various allies, particularly Turkey and Saudi Arabia, who conspired to ignite the conflict in Syria in the first place as a means of effecting regime change, just as a US-led coalition accomplished in Libya earlier in 2011. In fact, the US would be caught funneling terrorists and weapons from the devastated battlefields of Libya to Syria, for a repeat performance. Dissecting the lies of the West and exactly how they are crafted and by whom precisely, helps expose and undermine this utter contempt for human rights advocacy. Human rights advocacy is in fact a very necessary and important task. There are legitimate monitors and researchers who do in fact attempt to advance human rights advocacy. But because the abuse of such advocacy is so appealing to those who stand the most to gain from managing public perception, and because those who stand to gain the most still possess vast amounts of unwarranted power and influence, particularly across mass media, real advocacy seems to have been lost in an ocean of lies. And as the West's ability to change the facts on the ground in Syria continue to diminish in the face of successful joint Russian-Syrian military operations, we can predict this abuse of human rights advocacy will only continue to increase.